No home is perfect but at least a professional inspection gives you some guidance on what you are facing. Only you can decide what you are willing to accept or undertake if you decide to buy this home. If any red flags arise, then you’ll need to decide what a deal breaker is or not. Make sure you hire a reputable and experienced inspector. Most states don’t require licensing so you want to find someone who is highly recommended, works full-time in the field, and is affiliated with a professional organization. Also look for someone who is familiar with local building codes and also with the type of construction and age of this home. A home inspector will visually inspect the physical condition of the home and its major systems. A standard checklist usually includes: heating system; cooling system; electrical system; appliances — kitchen/bath/laundry; plumbing; chimney; framing/structure; foundation/basement; drainage; roofing; and garage. If a home is vacant, make sure the seller has all of the utilities turned on during the inspection so the inspector can see how they operate. You don’t want to incur the cost of a second trip out to your home! 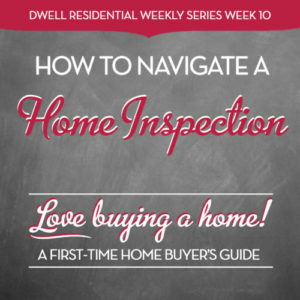 Having an inspection is a great opportunity to gain some first-hand knowledge about the home you are about to purchase. You should accompany the inspector during the inspection to take advantage of his/her expertise and find out how the home functions. During an inspection, you will see what type of systems exist in your home and their condition. You also can learn how to maintain them, which can be a big help as a new homeowner and for keeping up the value of your home. It’s a good time to ask questions so you understand your home AND the inspection report you’re about to receive. After the inspection, you will receive a signed report that summarizes what was discovered. This report is your property and no other party is entitled to see it. Ask if you will receive the report on-site or if it will be emailed to you. 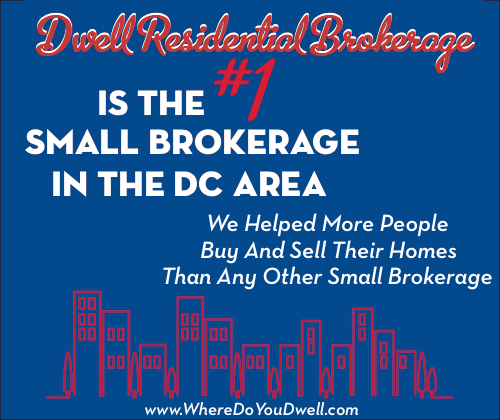 Take the time to carefully review this report and reconcile it with the seller’s disclosure statement. If nothing is amiss, you can go forward with your purchase. However, if the inspector discovers some defect, you now need to make a plan of action to resolve the issue or just cancel the contract. Lack of general maintenance. A home that hasn’t been properly taken care of for many years could have major issues – such as water damage — lurking. That’s when due diligence is especially needed during an inspection. Too many issues in a home that isn’t old. Some issues are typical for a home’s age and location and not the sign of poor construction. For example, you may not mind a fixer-upper that has “good bones” located in a certain neighborhood. However, you do want to steer clear of a home one that isn’t really that old for the amount work it might entail. Do-it-yourself additions or any DIY work that isn’t up to code. If the addition looks awkward and cheap, it probably is and could be detrimental to the home when you want to resell. Or, you’ll need to factor in the cost and time to tear down and rebuild properly. Termite infestation. This can wreak havoc on a home so you’ll need to determine how bad it is AND how much it will cost to fix and prevent in the future. Moisture in the basement. This can mean two things: the home’s grading has some seepage issues and/or you’ve got the potential for mold. Usually the basement will smell musty if this is the case. Mold is a serious issue and can cause health problems if pervasive, so tread carefully! Water marks on the ceiling or walls could signal a leaking roof, gutters rusting, or faulty plumbing. These can all leading to wood rot and other possible destruction. All can be fixed but you’ll need to determine the extent of the damage. Or this could be a sign of past issues that have already been resolved but you’ll need to find out. Cracks in the wall and sloping floors. These indicate possible structural and foundation issues, which can be costly depending on the age of the home. Toxic materials in homes built before 1970 such as lead paint or asbestos (found in some building materials). Factor in containment and professional replacement costs before you buy! Faulty and outdated wiring. This can be a serious fire hazard so inspectors should check for overloaded circuits and proper grounding. If something was red flagged in the report, you may need to hire an expert and get some estimates for needed repairs before you can move forward with the sale. For some items, it could be a simple solution. A trip to the hardware store may be all that’s needed. Get a list of those items you want to fix yourself and price it out. If you want to go ahead with the sale, you’ll need to decide if you want the sellers to fix it themselves or offer as credit. If you have a choice, sometimes it’s smarter to hire your own contractors and supervise repairs. Before issuing a formal “request to repair,” consider the seller’s incentive to hire the cheapest contractor or to replace appliances with the least expensive brands. Stay tuned for next week’s Review Those Condo Docs! Purchasing a condo unit is like you’re buying into a business. You need to determine how stable and financially sound this “business venture” is before taking it on.